You may have noticed that I haven’t been blogging here for some time. Reviewing books had become less useful to me in terms of improving my writing. I got a lot from it and had reached the point where I needed a change. So, Boudica Marginalia is now closed. But I miss blogging! I have a new blog, Cerridwen’s Cauldron, where I talk about body acceptance and all sorts of other things that expose the real me. If you’d like to come to have a read, that would be lovely. Oh hai Uhtred. 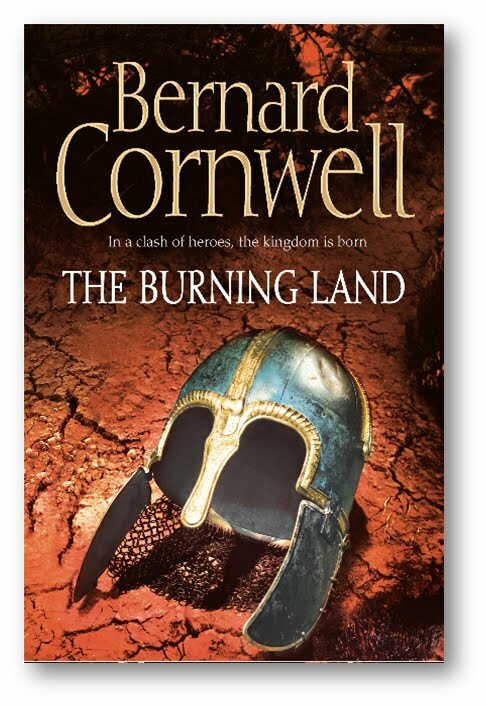 The Burning Land is the fifth in the Bernard Cornwall’s Saxon Chronicles. Regular readers will know I’m a fan and I enjoyed this one just as much as the others. Wessex is once again plagued by Danes and Alfred still relies on Uhtred to fight his battles for him. The leader of the Danes has a woman, Skade, with him who is considered to be a sorceress. Uhtred captures her and uses her to lure Harald into an unwise attack. Skade curses Uhtred and although he wins the battles, he loses Gisela, his wife. At Arthur’s court, a simpleton priest has a vision in which he says Skade and Gisela are the same. Alfred demands Skade is killed and Uhtred, humiliated, leaves Wessex. He goes to Durham where Ragnar is lord and finds him planning to attack Wessex, largely on the basis that Wessex will eventually attack them. Alfred is now calling himself King of the English. Uhtred’s ultimate goal is Bebbanburg but for that he needs money and lots of it. He sails to Denmark where Skade’s first husband is said to sit on vast wealth. With few men and a cunning plan he takes the Danish stronghold but finds that the treasure is much smaller than it was said to be. They return to join Ragnar but just before they march Uhtred finds himself ensnared again. He made an oath to Alfred’s daughter, Aethelflaed, and she has asked for his help. Her husband is trying to divorce her and she is holed up in a nunnery. So, off he goes, because the love affair between Uhtred and Aethelflaed has been signposted since book one. Ragnar attacks Wessex and Haesten (the devious Dane ruling East Anglia) attacks Mercia. Uhtred is bound by his oath to defend Mercia. Naturally, he pulls it off with aplomb and a certain amount of work. And by the end, he’s as firmly tied to Wessex as ever and no nearer Bebbanburg. I love these. Cornwell is a great storyteller. His characters are fantastic, the action is completely engaging and the pace is good. This was a nice change of rhythm from the last book which focussed on a single battle. 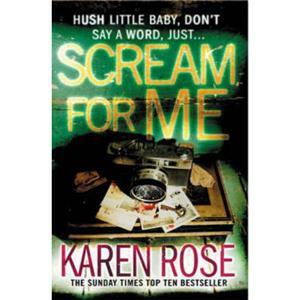 It is no mean feat to have the fifth book in a series as entertaining and enjoyable as the first – and to have me looking forward to the sixth. And it’s not just because it’s got vikings in it, honest. Last time I reviewed a Cornwell novel, The Fort, I noticed a heavy-handed use of dialogue tags. I did look out for them in this one, and they’re there, more than might be desirable, but not nearly as intrusive as in The Fort. Reek is in a dungeon eating rats because he is starving. He hears footsteps approach and is terrified because he has been tortured. He has lost some fingers, toes and teeth, is being starved and kept in the dark. He struggles to remember who is – or at least who he’s been told he is. Who is was before is even harder to remember. He recalls that he tried to escape with a girl called Kyra, to go back to Winterfell, but it turned out to be a trap because Lord Ramsay Bolton likes to hunt people. The footsteps belong to two boys, who come in to the dungeon and mock him. He begs to be left alone but Ramsay wants him. The boys are Little Walder and Big Walder. They take Reek into the castle, where Ramsay and his men are dining. Ramsay has two guests, one of whom recognises that Reek is Theon Greyjoy, white-haired and three stone thinner. Ramsay says that he’s going to marry Arya Stark and he wants Reek to come with him, as a sobered, obedient Theon. Oh boy. That was just awful. Sure, Theon was an arse, and a bit of nasty piece of work, but no one deserves that. Eugh. It was horrible, and I feel a bit sick after reading that. But, hang on, why would Ramsay want Theon at the wedding? Does he want Theon to tell him whether or not it’s the real Arya? I thought the Bolton’s were in on the plan.